The Maryland House of Delegates is expected to vote Wednesday to expand the state attorney general’s powers so that he can sue the federal government. Current law requires the governor or legislature to agree before the attorney general can bring a lawsuit. 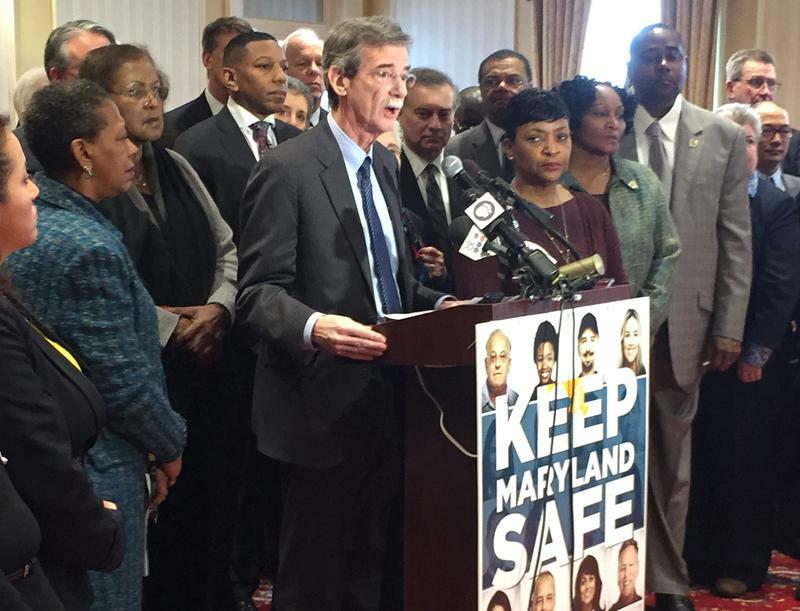 Democratic Attorney General Brian Frosh says he needs this change so that he can challenge many of President Donald Trump’s policies as quickly as the new president implements them. At a hearing before the House Rules and Executive Nominations Committee on Friday, Frosh offered as an example Trump’s controversial ban on refugees and travelers from seven Muslim-majority nations entering the United States. Frosh said other threats include rollbacks of the Dodd-Frank Wall Street Reform and Consumer Protection Act passed in the wake of the Great Recession and changes to environmental protections that could affect the Chesapeake Bay. Frosh can already challenge these policies in federal court if Gov. Larry Hogan, a Republican, agrees. But Frosh said speed is an issue. He said he asked Hogan if he could challenge the travel ban on Feb. 1. According to the attorney general’s office, the governor has not responded to that request nearly two weeks later. “Thankfully, the attorney general of Washington brought suit and asked for injunctive relief for the entire country and it was granted, and the Ninth Circuit Court of Appeals upheld it, but absent that, it was not clear that residents of Maryland were going to enjoy the same protections,” Frosh said. A spokeswoman for the governor told The Baltimore Sun last week that Hogan assumed Frosh had moved forward with the lawsuit without the governor’s explicit approval. The prospect of expanding the state attorney general’s powers for the foreseeable future has been contentious. “This resolution tells the attorney general, ‘Hey, if you don’t like it, go file a suit.’ What is it? 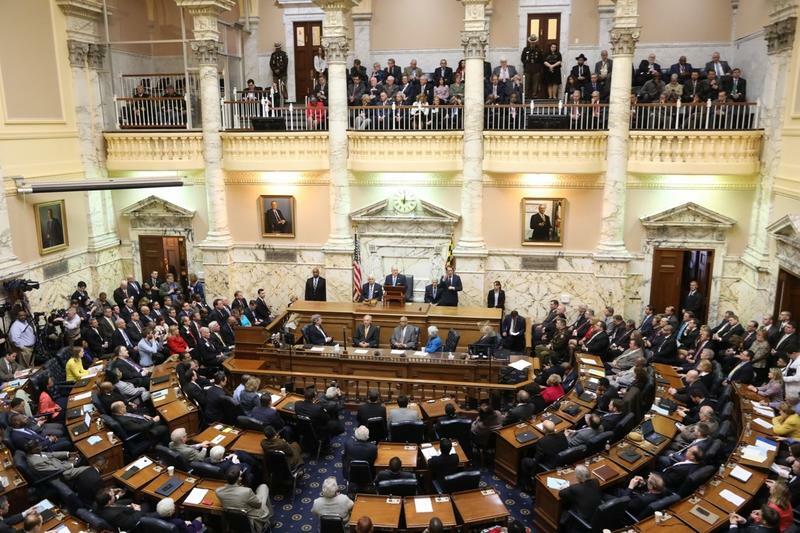 It is pretty much anything from alpha to omega, the beginning and the end,” said Sen. Robert Cassilly, a Republican from Harford County, ahead of the Senate’s first floor vote on the measure last week. Del. Herbert McMillan, a Republican from Anne Arundel County, echoed some of Cassilly’s concerns during Tuesday’s debate in the House. “It grants the attorney general unchecked power, virtually making him a fourth branch of government, without legislative oversight,” he said of the measure. The Democrat-led Senate and House rushed the legislation through committee hearings and floor votes. Last week the Senate rejected Republicans’ request to delay the bill by a day — something normally considered a common courtesy — and nine of the chamber’s 14 Republicans stormed out during the session. If the House approves it Wednesday, it will become law just 12 days after it was first introduced. 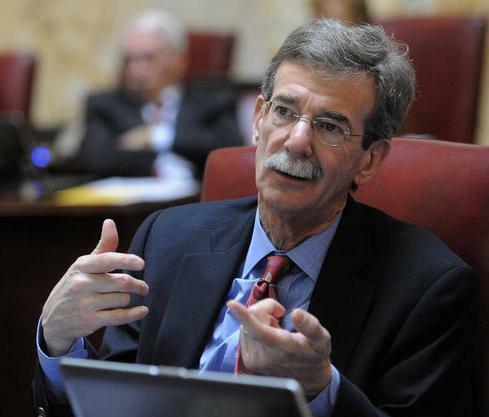 The measure is a joint-resolution, rather than a typical bill, meaning Hogan cannot veto it. Hogan’s office has offered sharp criticism of the measure. 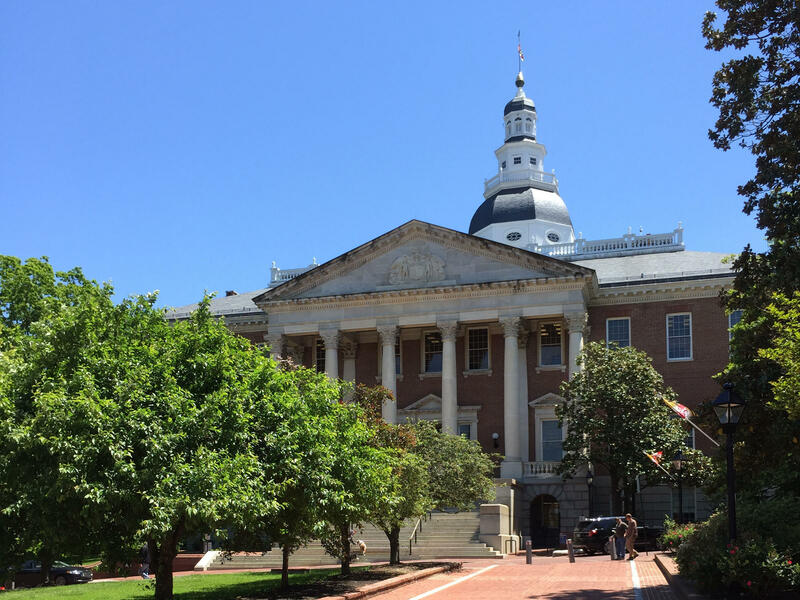 "Sadly this is just one of many ham-handed, overtly political attempts that we've seen over the past two years to strip the governor's office of its longstanding authority,” Hogan spokesman Doug Mayer said when the legislation was initially introduced. Democrats say Maryland is unique — that most state attorneys general can sue the federal government when they think it’s in the public’s interest, without getting their governors’ or legislatures’ permission first. “In the other states, the attorney general has either been given the power by their legislature, or the courts have interpreted that power to vest naturally in the attorney general,” said U.S. Rep. Jamie Raskin, a Democrat who sat in the state Senate last year and a constitutional law professor at American University. Several Democrats have pointed to the example of Oklahoma Attorney General Scott Pruitt, a Republican who created a “federalism unit” within his office specifically to challenge federal policy. Pruitt is perhaps best known for challenging regulations by the Environmental Protection Agency, which Trump has tapped Pruitt to lead. The Maryland Senate adopted a measure Friday that would expand the state attorney general’s power to sue the federal government on an almost party line vote. Three Democrats, James Brochin and Katherine Klausmeier of Baltimore County and James Mathias, of Worcester County, voted with all 14 Republicans against the measure. It allows the state attorney general to sue the federal government without getting approval of the governor or the General Assembly, as the law now requires. WYPR's State House Reporter Rachel Baye joins News Director Joel McCord to explain a fast moving bill to allow state Attorney General Brian Frosh to sue the federal government without buy in from the governor or general assembly. An initiative to give the Maryland attorney general the freedom to challenge federal policy in court earned initial approval by a state Senate committee on Wednesday. The legislation, expected to come up for a vote in the full Senate Thursday, is driven by concern about the policies likely to come from President Donald Trump's new administration. 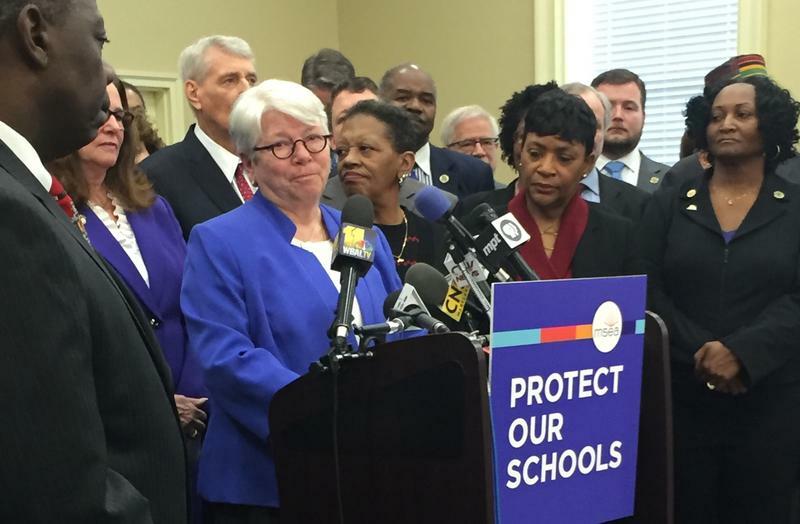 Just before the U.S. Senate confirmed Betsy DeVos Tuesday, Democrats in Annapolis held a press conference tying Republican Gov. Larry Hogan to the controversial new education secretary. Gov. Larry Hogan’s State of the State address Wednesday marked the halfway point in Hogan’s term. The 25-minute speech focused heavily on Hogan’s legislative agenda, from expanding charter schools to tax breaks for public safety officials and military veterans. As Hogan named each of his priorities, he took a moment to reflect on what he has already accomplished before outlining what’s still left to do.